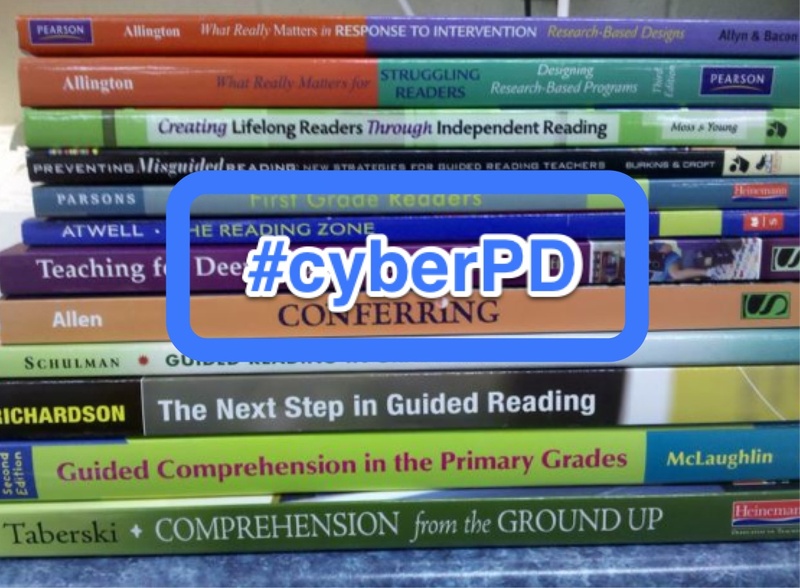 Thank you for not only sharing your #CyberPD thoughts, but your non-fiction book challenge. I teach pre-service teachers and this is a great example of how public blogging can be used to network with others, motivate to complete goals, and as a repository for learning. When I asked them to complete their text sets on a topic of choice, many wondered if they would ever use it again. I'll be happy to show your blog to illustrate a dynamic use of blogging. I also appreciated your bullet points of take-aways from the chapters and how you will implement them in your classroom. This envisionment process is really important. I look forward to seeing how things go in your classroom in the fall. Book identity! I love it! Yes, we need our students to learn about their book identities ... the ever changing identity, but at least they are reflecting and aware of their identity! The word explicit came to mind too as I was reading your thoughts. We need to be more explicit in our conversations with our students. I don't think I have ever asked the question: "What are you planning on reading next?" Readers need to have a plan! Then that leads to more conversations about books or allows other students to step up and share a book. Another idea to share books that students are reading or books they recommend, try the Flip-a-gram app. -- shared on Twitter by Laura Komos! Download the app, snap some pictures,create short videos with your photos set to music and share! Students could eventually take the lead on this too! Thanks for joining in again this week. I'm glad we connected! I have been thinking about doing a honeybee post. I love these choices. I have been looking at a number of books including most of what you have here. Thanks for sharing and for the #cyberPD too. I send a monthly newsletter to the staff, but am now thinking I should expand this to somehow do a second one for parents. I'd love to reach them more. Thanks for all the bullet points, Michele. I missed some of those when I wrote, so I appreciate the reminders. And I'm grateful for the bee books. One of the classrooms at school keeps bees & I will share your ideas. I did share the Florian book with them last year-want a beautiful & clever book it is! I really like your point about making things explicit. Some readerly behaviors that I think are too obvious to even mention (for example: if you read a book and like it, go find another book by the same author) weren't obvious at all to my college students. I really have to think about all of the things I do as a reader in order to develop curriculum for my classroom. It's challenging to make explicit all of these strategies, habits, and behaviors that have been second nature for me since I was a small child! You touched upon many of my chapter take aways, Michele. The question about homework looms large, I think, it's something that we must recognize as being a hindrance to reading at home time. Those building wide discussions are so necessary. PS. Thanks for the wonderful collection of bee books! I'm enjoying all the reading that came out of #CyberPD! I also love the theme of your NF post - bees!! So fun to have the many bee books. Those are some fun poetry books and I will look for the informational texts to pair with them. 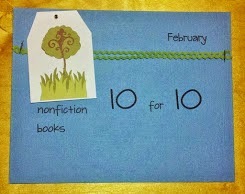 It looks like you have a plan to fill your book gap. Nonfiction picture book Wednesday! 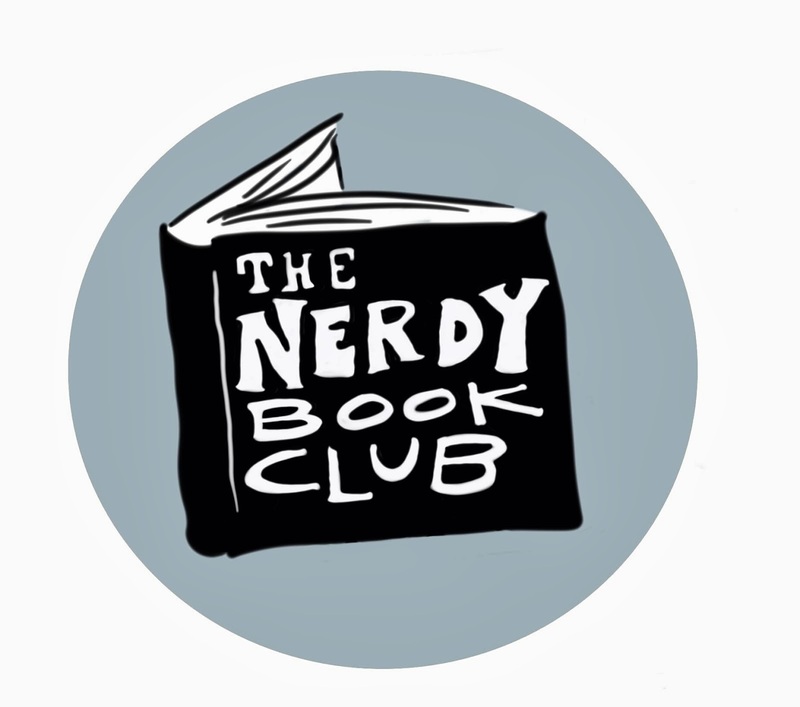 Thanks for sharing the list of suggestions Donalyn makes for growing our reading communities. In the fall, Choice Literacy shares a series called focusing on one little change. The idea is one thing you know you are going to change in the coming year. As I consider this list you've shared, it seems there are a few small changes that might make a big difference. I'm going to commit to one - or two - of these in the coming year that seem to have the most potential to create great change. Like you, I also want to consider more ways to include parents in these important conversations. LOVE the bee theme! Thanks for sharing all of these! Wow! This is quite the collection of books! I love your bee theme, too! Thanks for sharing these with us! Yes, I need to read more NF! Thanks for some great titles. I appreciate how you separated your thinking for teachers and parents - I need to be really clear with my parents this year how I need them to be part of our reading community. Great ideas here. 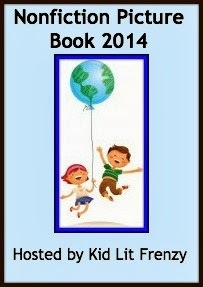 Great bee books, fun! As for #cyberPD I agree with you that the idea of making plans for larger school breaks is a great way to help students build that as a personal skill. I also loved her discussion of how frenzied everyone got making sure they had enough books for winter break! I'm going to have to go back through your post and take notes! You have shared some fantastic strategies that can be used in any classroom. I also found some new nonfiction books I might have to add to our 4th grade classroom library. Thanks! Thank you for all the great reading ideas!